Welcome to the Science and Maths Week. For this special week, the ERV Science Department invites primary and secondary students to challenge the laws of science and discover intriguing science questions. 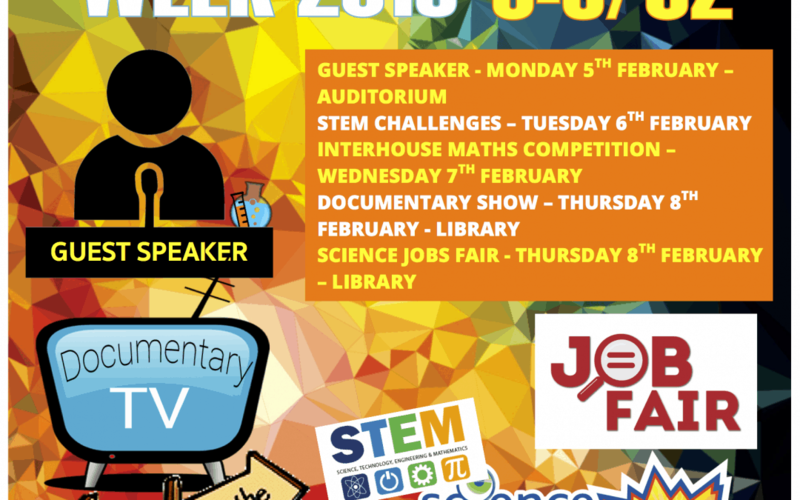 Stem challenges, Job Fair and Guest speakers will join us for this exceptional week.